A year ago, our friend and West End stalwart, Sheila Roy, passed away. 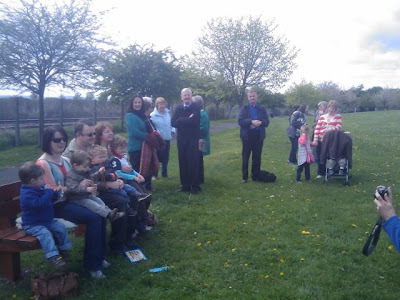 This afternoon, around 25 of us met on Magdalen Green to welcome the bench that has been provided by Friends of Magdalen Green and Sheila’s many friends. 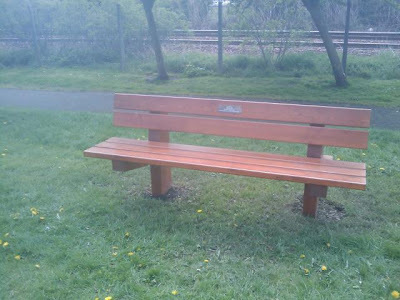 The bench reminds us of the huge contribution Sheila made to the life of the West End. She will live on in our hearts. 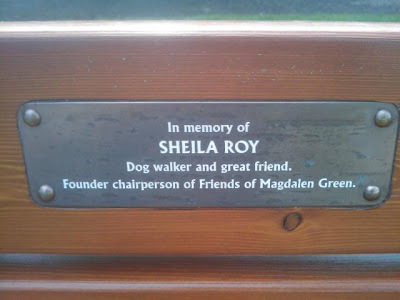 Sheila Roy passed away last May; she was a pillar of the West End community through her active participation in so many activities, including her role as founding chair of Friends of Magdalen Green. Sheila was also a good friend. I had the pleasure this afternoon of attending a sale of craft equipment that belonged to Sheila, with the proceeds going to the Friends of Magdalen Green. Many thanks to Sheila’s family – and to Gail Stirling and family, who hosted this well-attended event. As regular visitors will have noted, this site has been silent over the past few days, as a mark of respect to Sheila Roy, who sadly died at the end of last week. Sheila was a leading light in so much of the community activity of the West End – the Community Council and Friends of Magdalen Green in particular. Sheila got things done; for the West End and for the charities she supported. Only last month, she abseiled from the Forth Bridge, in aid of Alzheimer Scotland. The photo (right) is of Sheila and me last year at the Blackness Library 100th birthday celebrations. The lovely afternoon at her 70th birthday party last year will always remain with me. I will so miss but never forget Sheila; she had been a good – a very good – friend.